Just an hour away from Brussels you can find one of the most brutal concentration camps from WWII. In our last year of high school every year, we go on an educational trip, to experience a prisoner’s day to day life with our own eyes. Near the concentration camp of Breendonk, there was a train station the Nazis used to transfer the prisoners from Breendonk to other, larger camps. Therefore, the prisoners usually only stayed there for up to 18 months. Despite this, hundreds of prisoners died in Breendonk in its active years (1941-1944). There were a variety of prisoners held captive in Breendonk: political enemies, resistance members, criminals, and Jewish people. The Jewish and those with valuable information were separated from the rest of the people captive in the concentration camp. Although everyone was mistreated, the Nazis always came up with more creative ways to abuse the Jewish more than the other inmates. For example, a handicapped Jew from Poland was given the largest size uniform and then was beaten because his uniform did not fit. Another man, who lived in Belgium for around 25 years before the war started, but who was originally from Poland, was caught in the streets before being taken to Breendonk. In the concentration camp, he was killed by one of his roommates, the one chosen to oversee the room, because he did not make his bed. He did this to prove his loyalty to the Nazis. 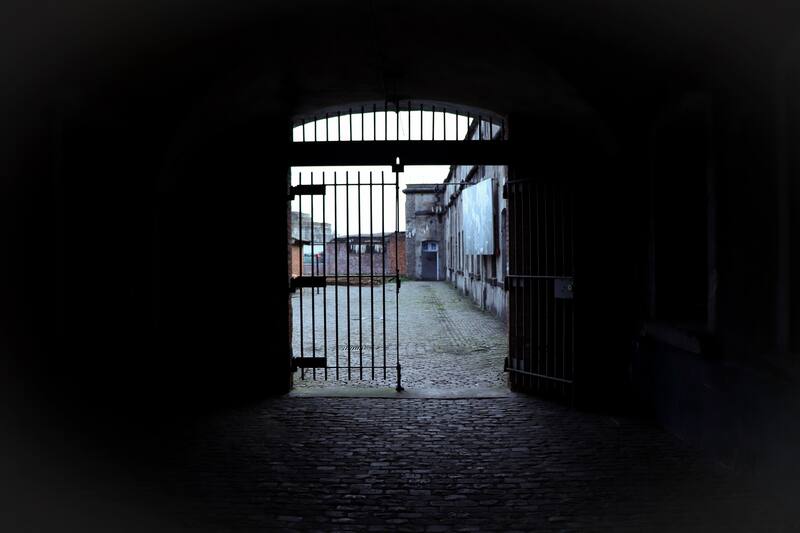 Prisoners in Breendonk faced cruel living conditions. From their first day at the camp, they were treated miserably, beaten and not accorded any medical attention, and if they were allowed a consultation, the camp “doctor” did not have any medical education at all; before the war he was a butcher. The prisoners were only rarely given the approval to wash themselves, and only if they stank too much. Toilet time was also rarely granted, and every prisoner had one minute to finish his business. The toilets were rather big metal bowls, in which multiple prisoners had to defecate at the same time. Mostly, the prisoners were not allowed to wash themselves after they went to the toilet. There were 48 prisoners in one room and each room was given 125g of bread every day, along with boiled chestnut powder and turnip soup. Their two meals were the same each morning and night. The average weight of a prisoner at Breendonk was 40kg, whereas the average weight of a man is of 88kg. In addition to their malnourishment, the prisoners had to work the entire day. Before the war, the Breendonk military base was nearly entirely covered in earth. The prisoners’ job consisted in digging up the earth and carrying it outside of the camp in heavy mining carts. On average, the total distance they pushed the carts over every day was of roughly 30km. To protect Hitler, the Nazis wanted specific information from the political enemies and the resistance fighters and therefore tortured them in multiple ways. This took place in a special torture chamber where the heat was kept at a temperature of 30°C. In here, the person held captive, was stripped down to no clothes and their hands tied behind their back. Their hands would then be attached to a hook and the prisoner would be pulled up on a pulley, dislocating their shoulder joints. In addition to that, the inmates were bribed with a plate of nice-smelling food, until they gave up information benefitting the Nazis. Physical torture and abuse were major factors in their horrifying state of living. Fear as well as trauma, mental emotions that were drastically imposed on them through cruel treatment. Upon their arrival at Breendonk, the prisoners would be given numbers instead of names and would have to stand for up to a whole day in line, facing a wall, and if they moved, their heads would be brutally hit against the wall. The SS men only shouted at them in German. If they didn’t understand what was said to them, they would get a heavy beating. At night the loud cries of prisoners being tortured were heard through every wall. Every prisoner lived with a constant fear of death. At Breendonk, all humanity was sucked out of them on a daily basis: it was not about living anymore, but about surviving at any cost. This place of horror is a fantastic eye-opener for both young and old people. It helped us better understand what people had to endure under a fascist regime, in relation to our studies in school.